Warwickshire County Council spends in excess of £250m each year on the supplies and services it needs to support its own delivery of services to the citizens of Warwickshire. As a consequence, the Council is well placed to be able to provide organisations of all sizes and from all sectors with a wide range of commercial opportunities. There is a great deal of competition for our business and in order to be successful, suppliers need to be competitive in price and provide high quality goods and services. 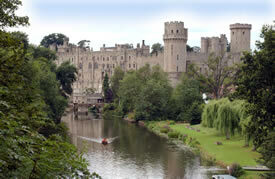 To help you supply the Council, a comprehensive website www.warwickshire.gov.uk/procurement has been developed which provides businesses and other organisations with detailed information about how we procure, what we procure and what we look for in our suppliers. 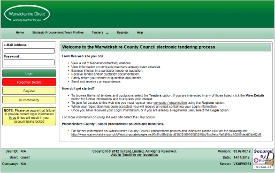 The Council already operates its own E-Tendering portal https://in-tendhost.co.uk/warwickshirecc and the procurements currently being managed in this portal will continue to a conclusion. However, over the coming months the Warwickshire portal will be run down and all new projects will be via the new CSW-JETS portal. If you are already registered on Warwickshire’s existing portal YOU MUST register on this portal in order that you can continue to access Warwickshire opportunities in the future. But the good news is that one registration on this portal will give you access to opportunities, not only in Warwickshire but in our neighbouring authorities as well.